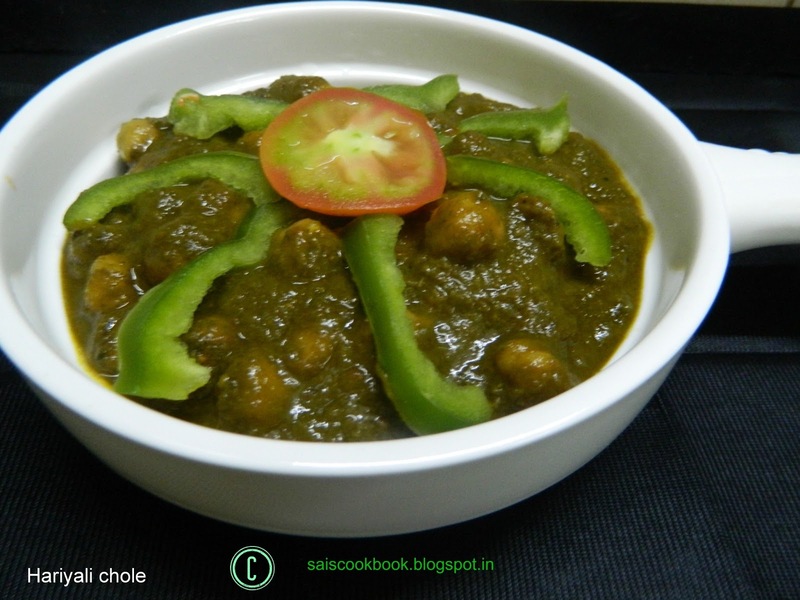 I adapted this recipe from my friend Aparna kamath’s blog.I have prepared this dish couple of times.This recipe is surely a keeper.This is similar to palak paneer but instead of palak, Chick peas(Garbanzo beans or Kabuli chana) is added and that lifts the taste.Palak is a very healthy vegetable filled with loads of nutrients and so are chickpeas which is filled with proteins and many more.This recipe goes well with roti,rice or bread. Wash the palak, separate the stalks from the leaves,blanch, puree and keep aside. Grind onion,ginger,garlic and green chilly to a fine paste. Heat ghee/oil in a pan and season cardamom. Add all the powders and saute for a minute. Add palak puree and tomato puree and fry until the raw smell goes. 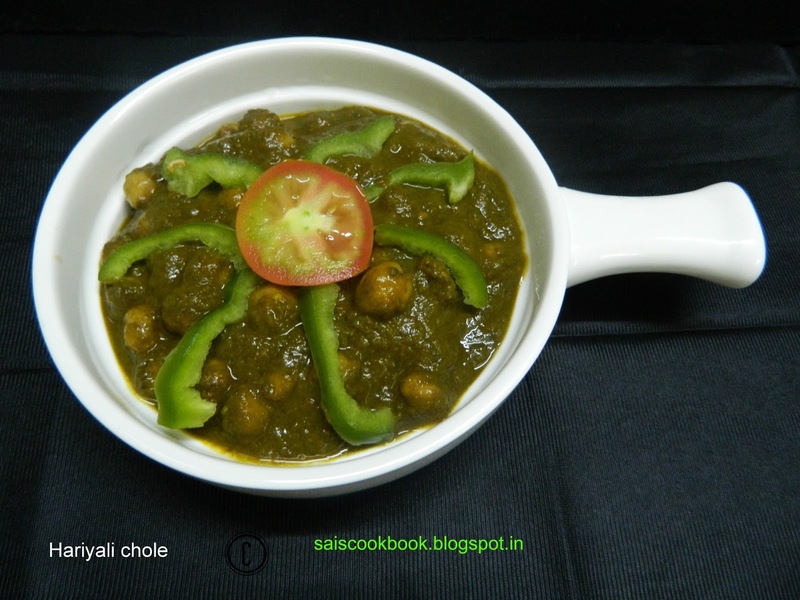 Add cooked chana,salt to taste,chana stock or palak stock or even water,adjust the gravy and take a boil,keep it covered in simmered for 6-7 minutes,stirring in between. Soak the chickpeas overnight or 9-10 hours in water. Add enough water and cook it in cooker for 3-4 whistles and simmer for 20 minutes. Add the palak in a pan with a cup of water,keep it on flame and take a boil,simmer and keep for 6-7 minutes. Off the flame,retain the boiled water if any and run the spinach in cold water to retain the colour. Blend it until smooth in a mixer.